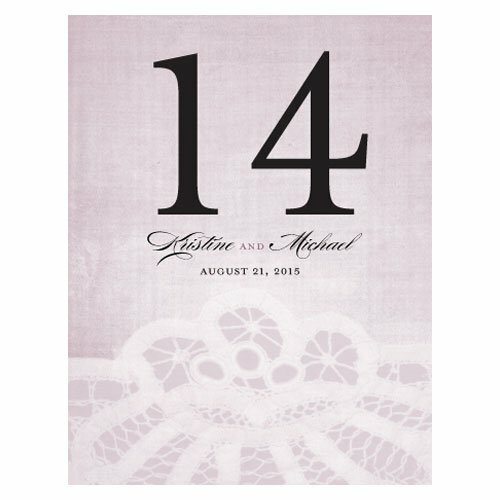 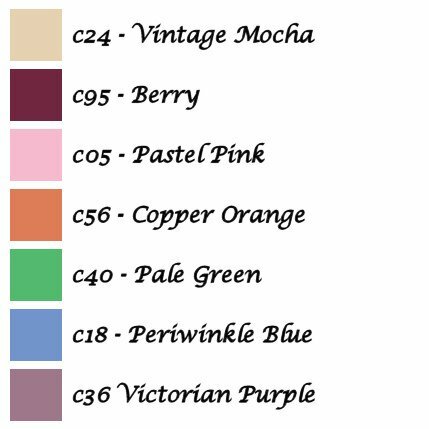 Show your guests to their tables in an elegant way with these Vintage Lace design wedding table number cards! Featuring lace details, script lettering and a touch of floral, we personalize the cards with your names and wedding date. 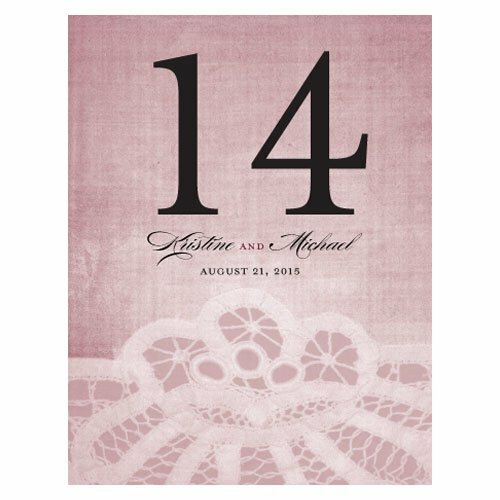 The 3 7/8" by 5" cards are crafted from 80 lb smooth card stock and printed on both sides so they are easily visible from any area of the reception venue. Each set includes 12 numbers in numerical order. 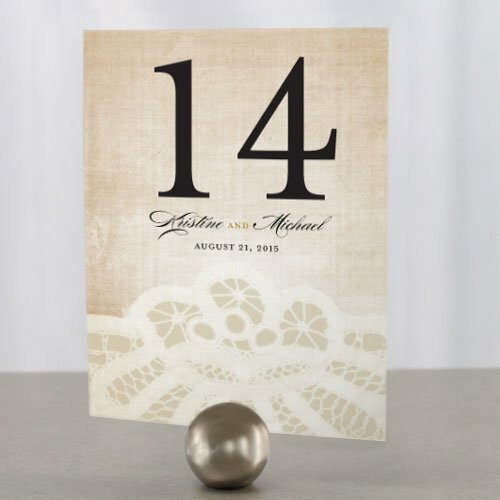 Table number holders not included.